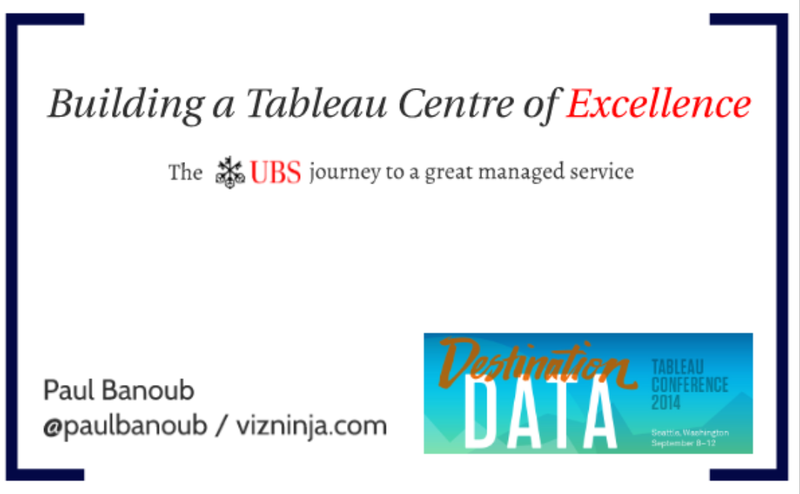 If you’re reading this then the chances are you attended my talk at Tableau Conference 2014. I hope you enjoyed what I had to say. I certainly enjoyed delivering it. As mentioned in the presentation, this blog post lists all the resources referred to in the talk. Grab me anytime @paulbanoub if you’d like a chat about anything. If you’re reading this then the chances are you’ve just watched my talk at the London Tableau on Tour Conference in July 2014. I hope you enjoyed what I had to say. I certainly enjoyed delivering it. As mentioned in the presentation, this blog post lists all the resources referred to in the talk.